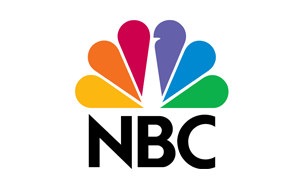 Media Links provided NBC Olympics with a full system of MD8000 media transport solutions with JPEG2000 source and destination modules for loss-less video delivery and hitless switching over an existing STM-16/OC-48 private line network. This solution ensured that NBC Olympics and its network provider had a cost-effective alternative to traditional video transport services. The Media Links transport over IP solutions effectively and efficiently transported real-time video, audio, and data content to connected venues with 100% uptime. Even during moments of network issues, the Media Links proven hitless switching technology prevented packet loss and provided guaranteed delivery of all live video signals during the entire Olympics event. Media Links was selected by Telstra for Australia’s next generation digital network for broadcasting. 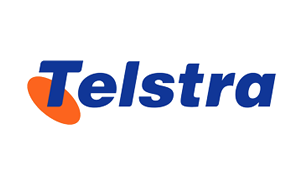 Telstra is the leading telecommunications and information services company in Australia. Media Links AU serves as Telstra’s main contractor for its DVN2 build-out and expansion, and supplies advanced network management software, Media Link’s flagship media over IP transport solution, the MD8000, installation services, operational support and continuous system maintenance. The project has replaced the existing digital video network and covers hundreds of locations across Australia. Media Links’ MD8000 Video over IP transmission technology was implemented as the high quality transport technology platform for the 2014 World Cup event. A total of 24,400 minutes, approximately 406 hours of television transmissions were managed under demanding conditions throughout the games. The Media Links solutions provided 100% uptime and zero packet loss of all TV signals. This extraordinary task was due to a combination of Media Link’s advanced technology, an experienced Media Links support team and customer technical team, as well as the expertise of system integrators, VIDI, a long-time Media Links partner. The Media Global Links MD8000 video over IP media transport solutions was installed and deployed in 17 venues throughout the Incheon Metropolitan Area to facilitate the live broadcasts and content transmission throughout the 2014 Asian Games. The MD8000 family addressed the need for carriers to connect directly to IP networks for long-haul, multiple-wavelength transport links, which resulted in significant cost savings. The MD8000 solutions aided in the media transport of 52 games, 6 stadiums, with more than 250 hours of live transmissions. Not a single second of signal failure ensured 100% availability. This LIVE-TV transmission project was managed by Media Links’ EMEA partner, VIDI. 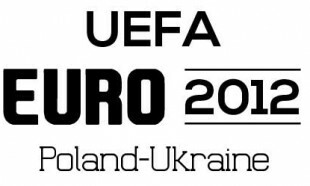 The selection of the Media Links solutions for all the contribution links for EURO 2012™ can be attributed to the extremely high quality and reliability of the Media Links equipment, and to the excellent support offered by Media Links’ partner, VIDI for the systems design, installation and support. The MD8000 is particularly suited for this type of application as it offers high levels of redundancy to deal with external problems such as loss of fibre links, as well as very low latency to allow operators and talent to work in a live situation with the delays of many compression systems. 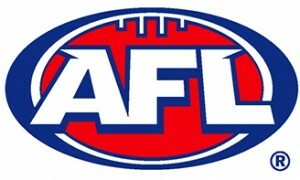 Since 2011, Media Links has provided real-time video over IP transport technology & solutions, as well support for the HD broadcast of Australian Football League games (Australian Rules Football). The fibre based contribution network allows multiple tenants to dynamically access the feeds from various stadiums throughout Australia through elegant NMS switching. A visually lossless JPEG2000 compression codec is applied for the efficient use of bandwidth. The redundancy in network architecture and ‘ hitless’ protection have ensured 100% QoS (Quality of Service) for all the HD and data services provided for the games. The Commonwealth Games are a major live event produced and distributed entirely over an IP network. Media Links along with European partner, VIDI implemented the equipment and support services to help make this possible. A major network provider launched their next generation video over intelligent optical mesh network in 2010 using Media Links MD8000 technology, and in 2013 provided a full uncompressed HD-SDI feed with dual diversity and hitless switching for “The Big Game” XLVII feed. 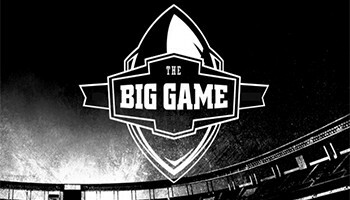 In 2010, Media Links provided an industry first at “The Big Game” XLIV, by transporting an HD-SDI feed with the use of JPEG2000 compression over a major network’s intelligent self-healing optical SONET mesh network. The signal was transported directly from Miami’s Sun Life Stadium via OC-12 interconnect to the core long distance network and the CBS studio in New York City. The same JPEG2000 encoded HD-SDI signal was transported with Media Links MD8000 solutions to CBS’s disaster recovery facility in Los Angeles. The signal quality and network latency for both HD-SDI feeds proved to be the most efficient and reliable means of transporting a native HD-SDI signal over a high profile Network Provider’s long distance video network. Media Links and Level 3 provided the first live uncompressed bi-directional HD-SDI video service over IP from Invesco Field to CBS New York throughout the duration of the 2009 NFL season. 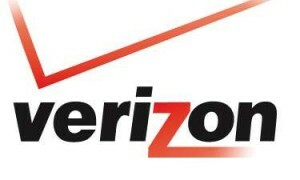 The Media Links video transport solution has been deployed throughout the Verizon tariff video footprint for the backhaul of uncompressed HD, SD and DVB-ASI video signals throughout major Metropolitan US cities. The Media Links solutions have been associated with major events such as the 2009 Presidential Inauguration and high profile sporting events. 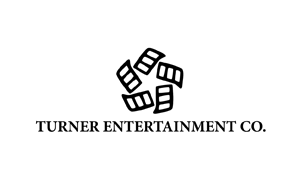 Turner operates an entire channelized OC-192 video and data transport network between New York, Atlanta and Washington D.C., where the Media Links compression technology is used for the adaptation of HD-SDI to their SONET backbone. All live CNN HD video feeds are handled by Media Links MPEG-2 compression. Internal to Turner’s broadcast facility, Media Links provided one of the highest quality HD-SDI up and down-conversion products available. Media Links were awarded the contract from Televisa to upgrade their existing transport infrastructure to support full HD-SDI in order to deliver the highest quality of video prior to network distribution. The MD8000 provided Televisa a fully protected 40Gb ring topology, future expansion capacity up to 200Gb per location, and hitless switching for all video and data traffic. The network has been in operation since 2009, and was associated with the world’s first 3D broadcast of a soccer game held in Mexico City. 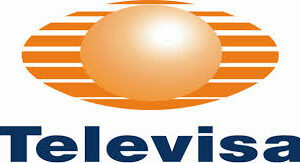 In 2011 Televisa expanded their existing MD8000EX deployment by adding an additional shelf to increase the range of signal distribution. In 2010 TV Azteca in conjunction with Iusacell broadcast the final episode of Mexican Idol using the MD8000 video and data transport platform. The system was configured with Gigabit Ethernet interfaces and successfully transported DVB-ASI signals over the Iusacell MPLS IP network. TV Azteca have deployed the Media Links metropolitan fibre transport solution to deliver HD-SDI and compressed DVB-ASI signals to several of their key transmission facilities. The Media Links solution offers a seamless transition between DVB-ASI, SDI and uncompressed HD video signals by automatically detecting the video format. TV Azteca leveraged their existing HD contribution infrastructure by seamlessly integrating the live uncompressed events back to their main production facility. The network has been in operation since 2006, and the Media Links equipment has performed flawlessly with no signal interruptions or hardware failures. 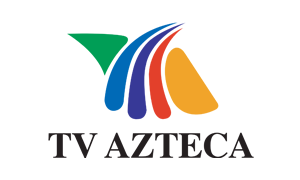 TV Azteca also upgraded a large portion of their network to the MD8000 platform in preparation for future HD expansion throughout their broadcast facilities. 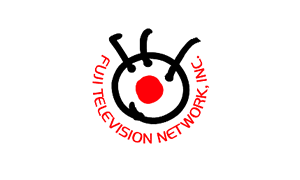 Media Links were contracted by Fuji Broadcast to develop a unified switching platform – MDMax – to handle all the different types of video, audio and data signals used by modern broadcasters. Designed for large scale operations, MDMax offers 160 ports of 10GbE (3.2TB Perfect Non-Blocking Layer 2 switch fabric) capable of supporting 800 simultaneous uncompressed 1.485Gb HD video signals in a completely configurable matrix. MDMax allows a single infrastructure to be used for all types of workflows – live video, studio video to tape or server, tape or server to-air, video file transfer and more. As needs change, the infrastructure can be rapidly reconfigured to meet each new assignment. Once in a common format, each signal only occupies as much bandwidth as required, allowing multiple signals of different types to flow over a single infrastructure for both in-building and wide-area networks. The MDMax switching infrastructure uses Perfect Non-Blocking Technology (PNT) to ensure that every signal can be routed to every destination, including unlimited multicasting combinations. Each signal to be transported over an MDMax system is first converted to a common format that is compatible with worldwide standards for media and data transport. In conjunction with the MDMax deployment, Fuji Broadcast deployed over 100 MD8000 and MD11000 systems which are used to aggregate lower speed signals to 10GbE allowing the MDMax to perform switching at a granular level. In 2008, Media Links delivered a transparent SD and compressed HD transport network connecting all major sporting venues, broadcasters, financial and government institutions throughout Denmark. The network consisted of Foundry Layer 2/3 switches supporting the IP backbone and more than 100 Media Links MPEG-2 codecs. We also developed customised management software, with central management for the service provider, and web-based client access for individual booking and provisioning. The management system offered remote configuration of the Media Links hardware, scheduling for all devices within the network, a ‘look-ahead’ function to control any booking conflicts, and an interface to the Global Connect accounting and billing system. 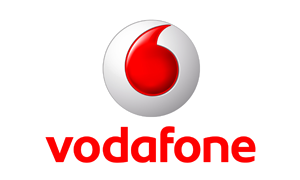 In 2009, Media Links were contracted by Vodafone Germany to replace an existing broadband video network for the public German broadcaster ARD (in operation since 2003). More non-linear TV production, a request for higher data rates in the IT area for video file transfer, and the introduction of HD-TV provided reasons to implement a new network with Transparent transport of real-time services for TV and Radio. Hybnet-Neu, based on a WDM fibre network connecting 16 ARD sites across Germany with a central location (The Star Point) in Frankfurt/Main, fulfilled all bandwidth requirements for transport of services like HD-SDI, SD-SDI, STM-1, GbE linear traffic, AES audio, E1 services and more. This fully redundant network with two rings has Alcatel 7750 in the nearest Vodafone POP and MD8000 as video adaptation equipment. In addition, the network can adapt to formats such as DVB-ASI, AES/EBU audio, E1 and STM-1 circuits, Fast Ethernet and GbE, to be transported over 10G Ethernet trunk interfaces. The network infrastructure is based on a Vodafone WDM fully redundant network connecting 17 sites in Germany, with Alcatel-Lucent 7750 routers employed at core locations.